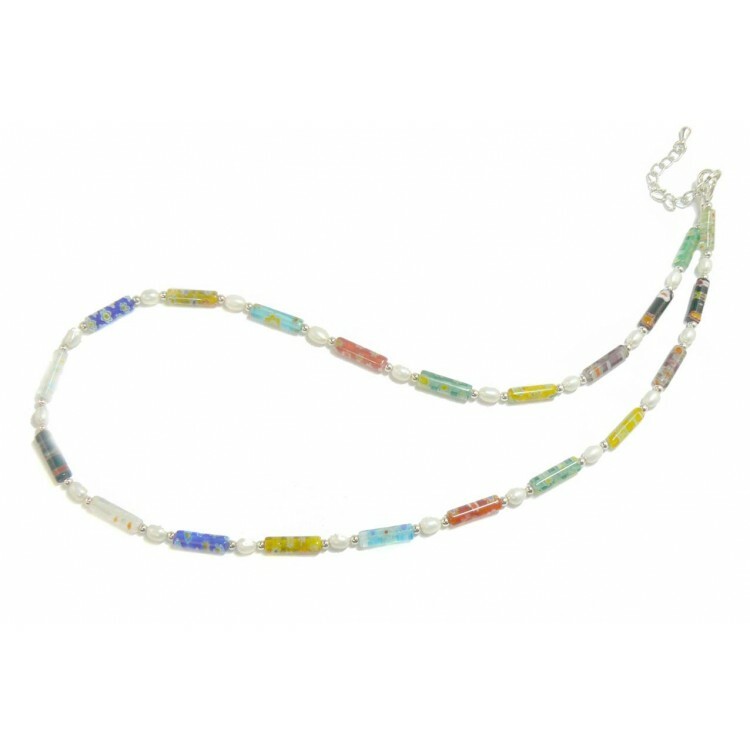 I have made this necklace using 14 x 4mm colourful Millefiori tube beads. I have complimented the colours with 4mm rice shaped freshwater pearls to add to it's delicate style. The necklace measures 49cm (19.25") long and I have added a 4cm extension chain so that the necklace can be worn longer if necessary. The silver plated clasp and extension chain are "Nickel Free" to comply with EU regulations.